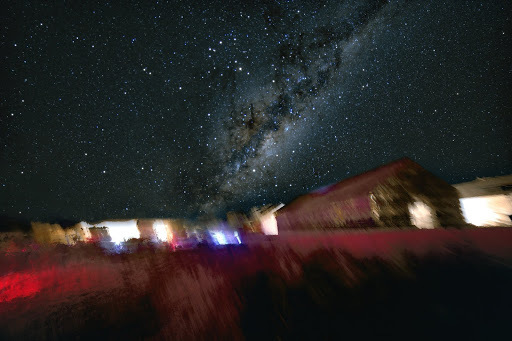 Last June 2018, a group of astronomy educators, under the auspices of the National Science Foundation’s Astronomy in Chile Educator Ambassadors Program, headed to the Atacama Desert to improve their outreach skills and stargaze in the driest desert in the world. The combination of high altitude, arid landscape, and low population results in some of the best observing conditions in the world. Here’s one ambassador’s story — from an up and coming data-driven scientist at Columbia University — and how she finally got the chance to view the actual phenomenon represented in her myriad data tables. But that’s exactly what I picture when I think of space because I’m a research astronomer who never went stargazing as a kid. Since I entered this field five years ago, I’ve thought of space as a series of data tables that I can manipulate and use to perform calculations; I don’t even know how to find the Big Dipper in the sky. But that all changed thanks to the Astronomy in Chile Educator Ambassadors Program. 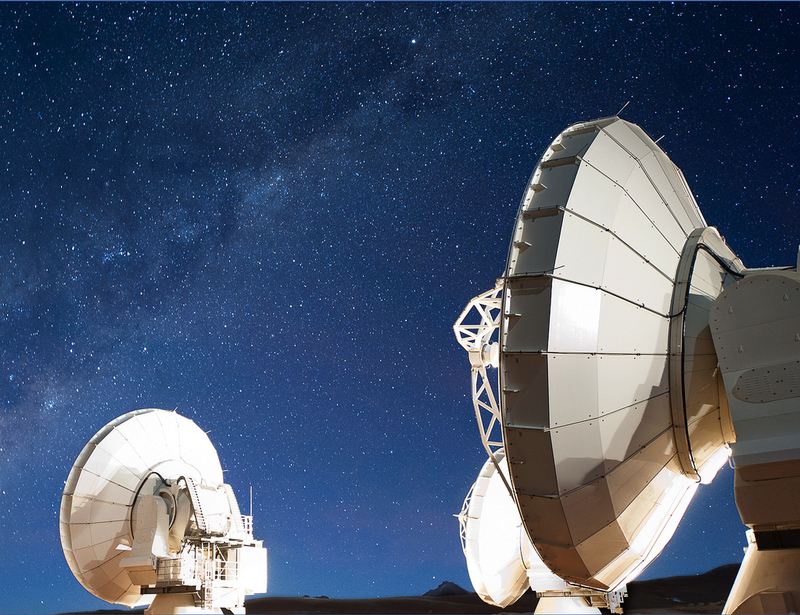 Funded by the National Science Foundation, ACEAP is an opportunity for astronomy educators and communicators from the United States to visit US-supported telescope facilities in Chile. While there, the ambassadors learn about the research that each facility does and the outreach activities they do to educate their surrounding communities. When the ambassadors get back home, it’s their duty to spread the word about how important Chilean telescope initiatives are for astronomy research. So the ambassadors get a once-in-a-lifetime trip around Chile and the telescope facilities get good and accurate press; it’s a win-win! My biggest hope for the trip was that I would finally learn how different telescopes are operated so that I could incorporate the information into my outreach. I didn’t expect to learn much astronomy or get very close to the other ambassadors. After all, most of them were amateur astronomers who loved to stargaze and I was the youngest person in the group by almost a decade — I figured we wouldn’t have much in common. Our first two observatory visits were canceled due to unexpected snowstorms (it was winter in the southern hemisphere). So instead of seeing Gemini and LSST, we listened to a talk highlighting some of Gemini’s research and describing some of the outreach they do. The talks weren’t as technical as I had hoped they’d be, and I left feeling a little disappointed. Later that night, the group traveled to Alfa Aldea, a beautiful tourist observatory in the Elqui Valley. The staff fed us delicious food, showed us an impressive 4D planetarium show, and took us to a spot where we could stargaze and do some astrophotography. Since I had neither a camera nor much of an interest in looking at the sky for more than a few minutes, I spent most of the night shivering and wishing I could make a mug of hot tea magically appear in my hands. Clearly, the end of the night was wasted on me. After two more observatory visits (CTIO and ALMA) and nearly a week of group bonding, I had my first awe-inspiring stargazing experience. It was a public event at an education-focused camp called Tata Mallku, tucked away deep in the Atacama Desert. There were French pastries, warm bonfires, and skies dark enough that I could clearly make out the dusty patches between clusters of stars in the Milky Way. One of the other ambassadors — a high school physics teacher in Oklahoma — was kind enough to point out the same four constellations over and over again until I could find them without her help. It was a magical night. A few nights later at a private observatory outside Santiago, an ambassador who teaches astronomy at a high school in Washington state tracked a comet through the sky. Before the trip, he had painstakingly made meticulous star charts of the southern sky and a list of all the objects he wanted to observe. He found every single one. I was impressed and reminded that “observing” didn’t necessarily have to mean recording gigabytes worth of data to analyze later. That same night, a lecturer from a planetarium in Ohio told me about the public shows she puts on where she connects astronomy lessons to mythology. One ambassador, an astronomy teacher at a high school in Florida, told me about how therapeutic building and using their school’s observatory had been for some of his students. Still another ambassador who teaches high school physics in the south of Chile told us all how she plans to use astronomy to raise awareness of the native Mapuche people. I was blown away by how excited the other ambassadors got when they looked at space, and the way they were able to incorporate it into their lessons. Even as someone who has always thought of astronomy as a type of “gateway science,” I had completely overlooked how powerful the night sky can be as an outreach tool. At the end of the trip, I didn’t really care that I hadn’t learned much about the technical operation of telescopes because I had identified a much larger hole in my outreach. So from now on, I’ll probably still think of space as a series of data tables. But when I do outreach, I’ll find ways to introduce my audiences to the overwhelming physical beauty of the cosmos. Moiya McTier grew up in a small coal mining town in Pennsylvania, far enough from city lights that she had a great view of the night sky. Despite this, she didn't find astronomy until her sophomore year of college at Harvard University, where she was the first person to study both astronomy and folklore. 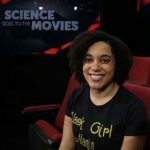 After graduating in 2016, Moiya was drawn to the astronomy PhD program at Columbia because New York offered countless opportunities to do science communication and outreach, which is what she wants to pursue professionally after she graduates in 2021. For the past two years, Moiya has done exciting research in both the fields of exoplanets and galaxy evolution. She plans to spend the next three years as a National Science Foundation Graduate Research Fellow, combining those two fields by studying whether planets in different regions of the galaxy have different characteristics. In her spare time, Moiya enjoys giving public science talks, cooking, and reading fantasy novels.